Bristol East is located in Avon in the south west of England. The seat was created in its current form in 1983 and has been held by Labour since 1992. 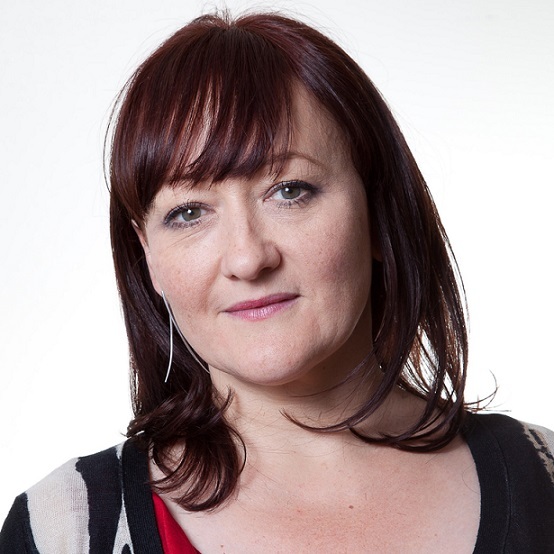 The current member of parliament is the Labour party’s Kerry McCarthy who has served since 2005. I have always had a fully-staffed office in the constituency, and hold regular surgeries. My office deals with a lot of casework, as well as hundreds of policy emails each month. I also meet many constituents through street campaigning, visits to community groups and involvement in local campaigns. This is by far the best way of keeping in touch, by talking to people about their concerns and hearing first-hand from them about the problems in their neighbourhood or their plans to make their communities better. Social media has become increasingly important since I was first elected, and I engage with many constituents via Facebook and Twitter, as well as having an official website. I have ten years of experience of serving as the constituency’s Member of Parliament. Throughout this time, I have consistently stood up for the people of the constituency, helping them with their individual problems and taking a leading role in local campaigns (details of which can be found on my website). 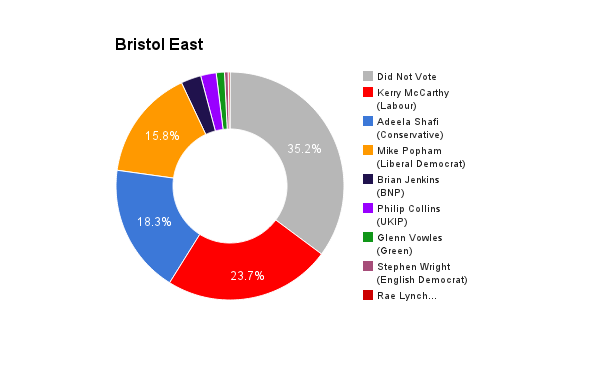 As can be seen on the They Work For You website, I am also very active in raising issues which are important to east Bristol in the House of Commons, speaking much more frequently than any other MPs in the city or the surrounding region. If I am re-elected, I will continue to work tirelessly for the people of the constituency, as there are many issues which still need to be addressed (public facility closures, unreliable transport, affordable housing, littering, etc.). I also think I am the best candidate because I firmly believe Labour’s national policies – whether it be relating to devolution, a fair economy, transport, housing, or anything else – will be of most benefit to Bristol East, who have been badly hit by the rising cost of living, wage freezes and insecure employment, and cuts to public services. 3. What would you have liked to have done differently during your time in Parliament? Labour has said that we should have built more houses during our 13 years in Government, although in office we did manage to build 2 million more homes, and improve 1.3 million social homes. There is still a major shortage of affordable housing in Bristol, with many people living in sub-standard or overcrowded and expensive private rented accommodation and nearly 13,000 on the housing waiting list. On a more individual level, I am concerned that climate change has fallen so much off the political agenda in recent years. I did quite a lot on environmental issues in the last parliament, but this coming year is crucial with the climate change talks in Paris in December, and if re-elected this is something I really want to focus on. I believe that the current austerity model has not worked and the Tory-led Coalition has been too vicious in its cuts, which have disproportionately impacted those on lower incomes. There are undoubtedly savings to be made in departmental budgets, but these should be implemented in ways which do not jeopardise the basic functioning of important public services which many rely on. There are also alternatives to austerity which can be pursued to help balance the books, such as by cracking down on tax avoidance, increasing taxes on those who can afford to pay more, and by reducing the number people who have to claim benefits due to a lack of income. Labour will achieve this latter aim through addressing the cost-of-living crisis, and by ensuring Britain gets a pay rise by increasing the minimum wage and introducing measures to encourage more businesses to pay the Living Wage. I think that immigration is generally a positive thing for our country, but I do recognise the need to ensure that those in low-skilled work are not disproportionately affected by it. As well as increasing our cultural diversity, immigration has many economic advantages which we all benefit from. Many of our vital public institutions, including the NHS, would not be able to function properly without a steady stream of people coming into this country who have particular skills which our services need. Foreign students coming from the EU and further abroad also help our economy, and boost the academic standing of our universities. Immigration does, though, typically impact those in low-skilled employment. Labour will therefore combat this problem by making it illegal for exploitative employers to undercut wages by taking advantage of immigration, cracking down on those still not paying the minimum wage, and stopping agencies from hiring workers solely from abroad. It is absolutely appalling that so many are struggling to get by in a relatively rich country like our own, and that almost a million people across the UK are reliant on food banks. The Coalition has done little to address these problems, with working people now £1,600 worse off than they were in 2010. Labour has pledged to take several clear, practical steps to tackle this cost-of-living crisis. First, as mentioned above, Labour will increase wages for those on lower incomes by raising the minimum wage and encouraging businesses to pay the Living Wage. We will tackle skyrocketing energy bills by freezing gas and electricity bills until 2017 and reforming the energy market. To reduce house and renting prices, we will increase the housing stock by building 200,000 homes a year by 2020, and will secure a better deal for tenants by reforming the private renting market and banning rip-off letting fees. There are some ways in which our NHS could be changed to make it a better service. For example, I would like to greatly reduce the number of bureaucrats in the health service, so the NHS can focus entirely on patient care. However, I would never support any moves to privatise our NHS, and have been staunchly opposed to the Coalition’s attempts to do so and create a system which puts profit before patients. Labour will reverse Cameron’s measures to privatise the NHS, and significantly increase investment in our health service in order to recruit tens of thousands of more GPs and nurses. With this extra funding, we will be able to introduce a guarantee to ensure everyone is able to see a GP within 48 hours, and no one has to wait more than a week for a cancer test and result. Labour will also work to better join up the NHS with social care, to create an integrated service which addresses all the needs of its users. I am deeply concerned by some trends in the jobs market, particularly the recent rise in youth unemployment. I feel that to overcome this problem, we need to invest in the next generation and make certain that every young person has the skills and opportunities they need to succeed. To do this, Labour will focus on alternatives to university by guaranteeing an apprenticeship to every school leaver who achieves the basic grades, and by transforming and promoting vocational education. We will also tackle long-term youth unemployment by offering all young people who have been out-of-work for a long period of time a tax-payer funded job for six months. While tackling unemployment is important, I also believe that more needs to be done to increase the quality of work in the UK and address the growing scandal of in-work poverty. To this end – as well as dealing with the cost-of-living crisis (see question 6) – Labour will ban exploitative zero-hour contracts to ensure that all working people have the job security they need. I do believe that a lack of diversity in Parliament results in a lack of representation. It is essential that we have a legislature which looks more like our country at large, which is why I want to see elected more MPs who are women, working class or from an ethnic minority. Only if we have more politicians from these groups will we have a Parliament which makes good laws, as only then will it be able to draw on the experiences and perspectives of different people across our society. If an EU referendum were to take place in the future, I would strongly encourage my constituents to vote to remain in the EU. In an increasingly globalised world with many new trade competitors and troubling international crises, I believe it would be a mistake to now turn our back on Europe and isolate ourselves. As well as contributing towards peace and stability in Europe in the past few decades, the EU has benefitted Britain in countless ways. With Europe being our biggest trade partner, membership of the EU has made the import and export of goods cheaper and easier, profiting UK businesses immensely. EU regulations have also been of benefit to the UK by improving living and working conditions, boosting animal welfare standards, allowing British citizens to live and work on the continent, tackling financial crime and corporate wrongdoing, and enabling the capture of individuals who have fled this country after committing crimes here (including terrorists) through the European Arrest Warrant.